Norm Knight, the loving husband of our own Advisory Director for Canada, Dorothy (Wallace) Knight, passed away on Thursday, June 12, 2014 surrounded by his family. Norm and Dorothy were best friends and married for almost 63 years.Norm was a retiree of Chrysler Corporation with 36 years of service, where he was a spray painter and worked in the "re-work" department refinishing imperfections resulting from the manufacturing process. He was a member of Woodslee IOOF Lodge and past director of the Woodslee Credit Union and Federation of Agriculture. He had many interests but wood working was his passion. He and Dorothy enjoyed their many travels to Scotland, United Kingdom, Australia, New Zealand and especially Italy where he visited his brother's grave in Ortona. Norm was a very active Annual member of the Clan Wallace Society World Wide wherein he assisted Dorothy in her many activities associated with the CWS. Norm was a very nice guy, as many of us in the CWS knew from our contacts with him over the years and at the Calgary Gathering in 2012. The Board and Council of the Clan Wallace Society Worldwide express their heartfelt sorrow to Norm's family at his passing. 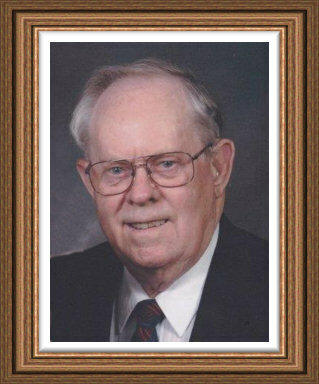 He will be greatly missed by his beloved wife Dorothy, sons Craig and Jon, and daughter Norma Jean, and six grandchildren and six great-grandchildren and the many nieces and nephews.